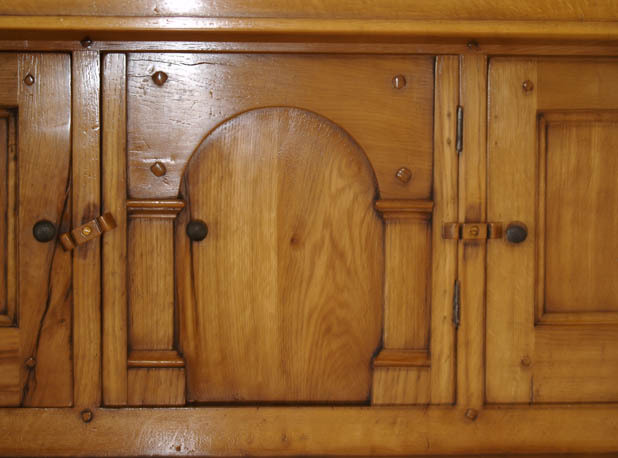 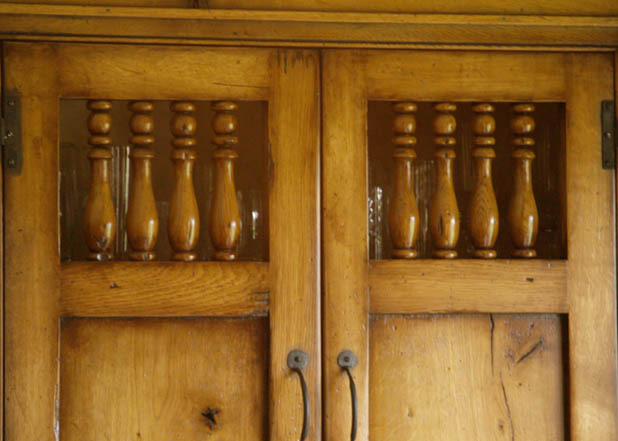 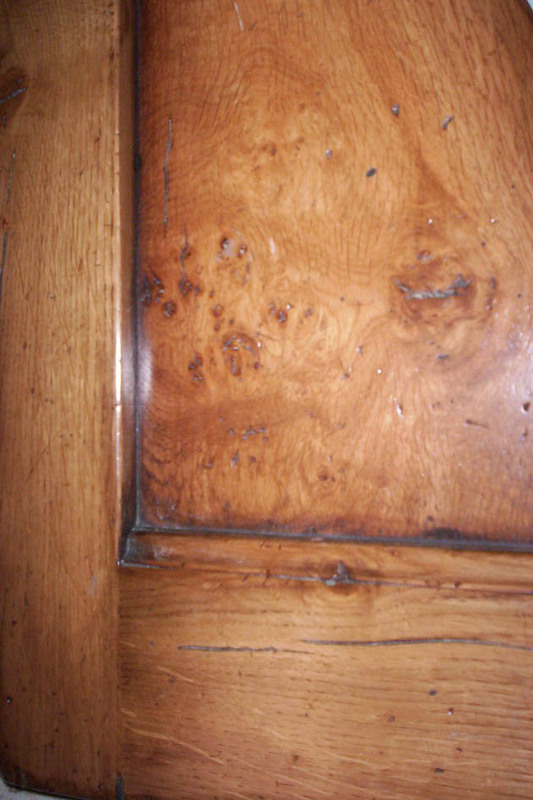 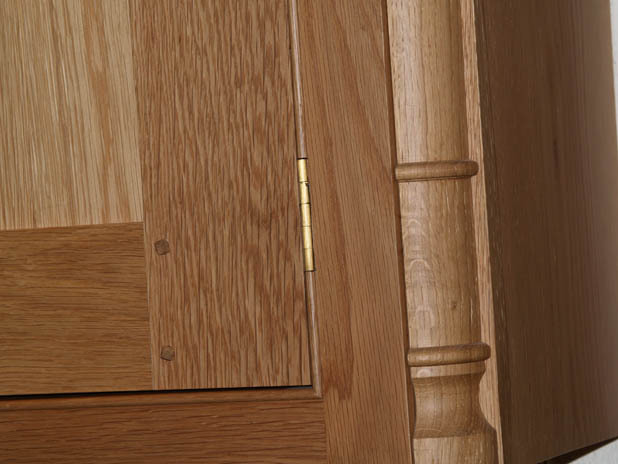 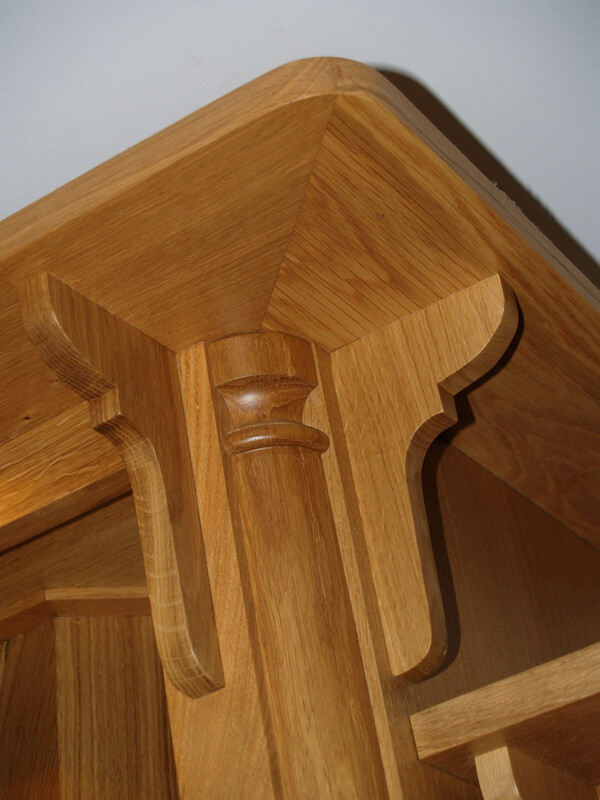 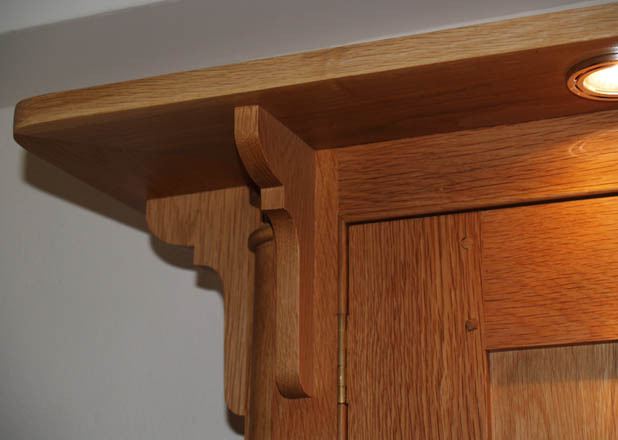 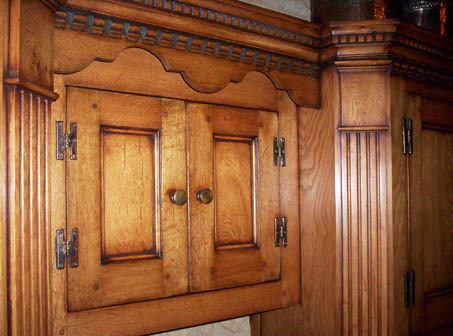 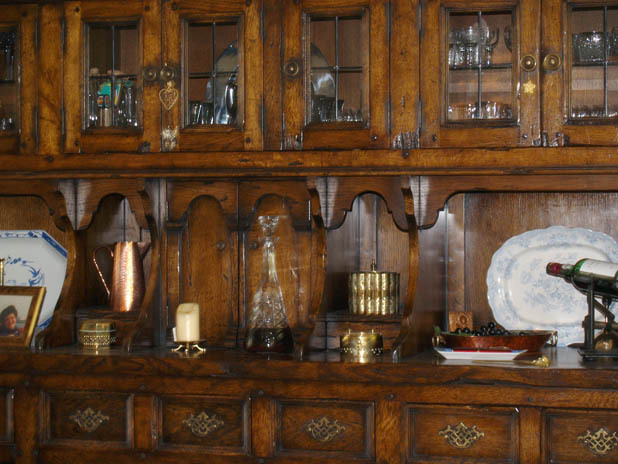 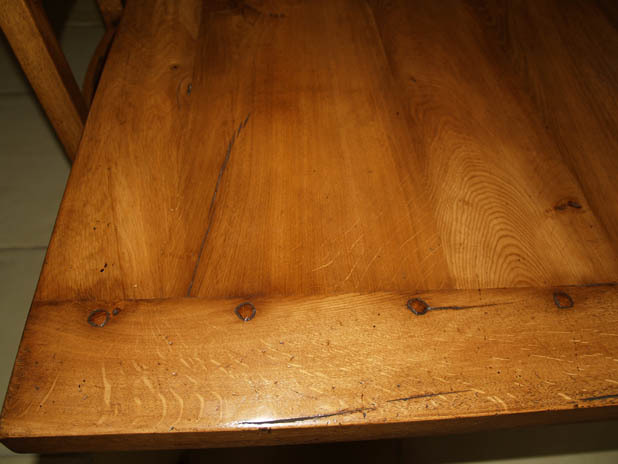 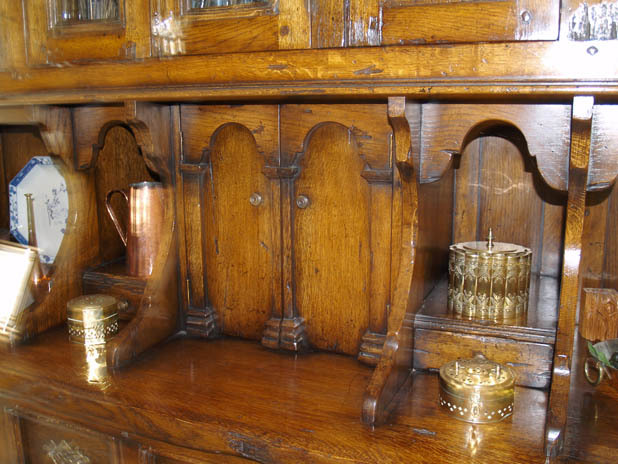 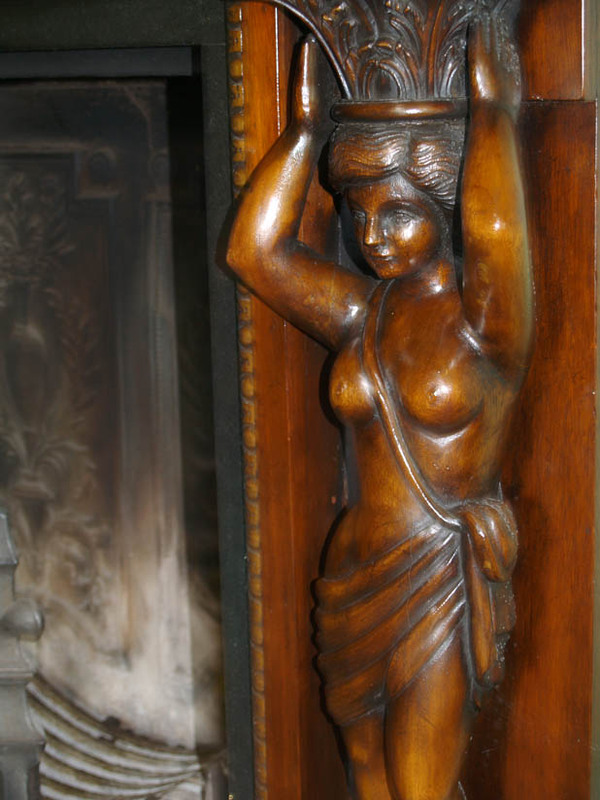 A Typical example of wonderfully warm polished Oak finish. 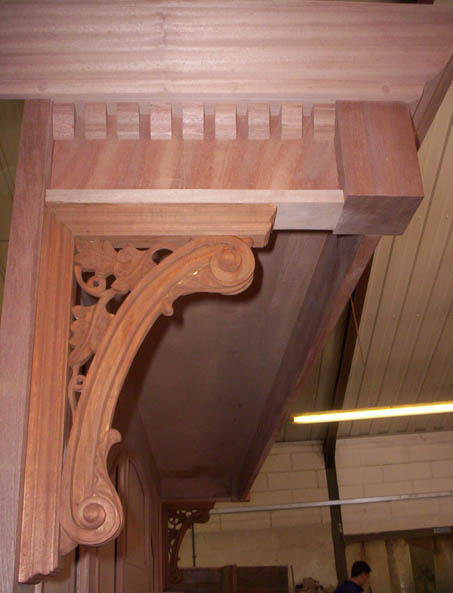 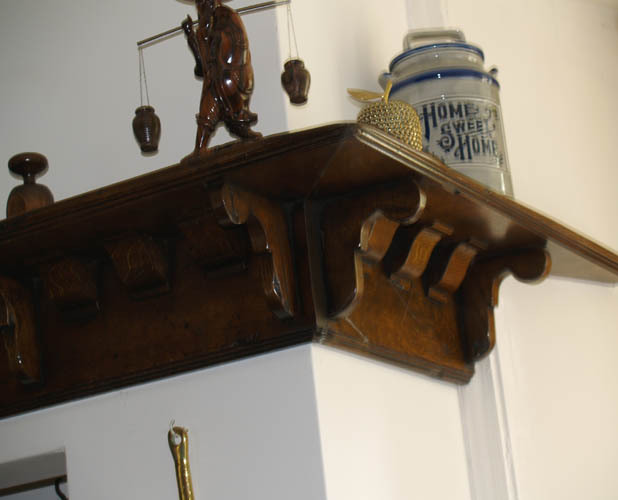 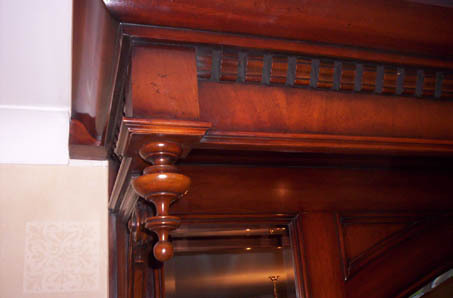 Moulded and dentilled cornice, with brass ‘H’ hinges, shaped frieze and fluted pilaster. 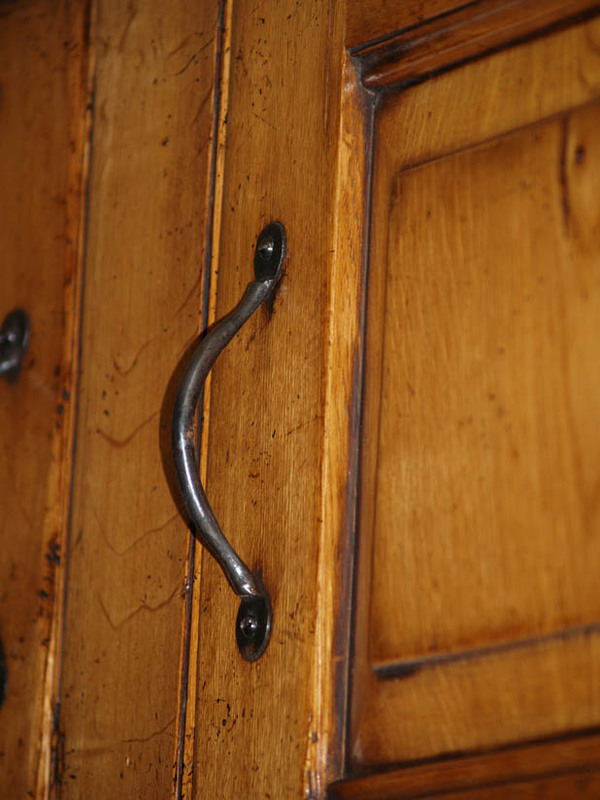 Leaded glass with authentic handles. 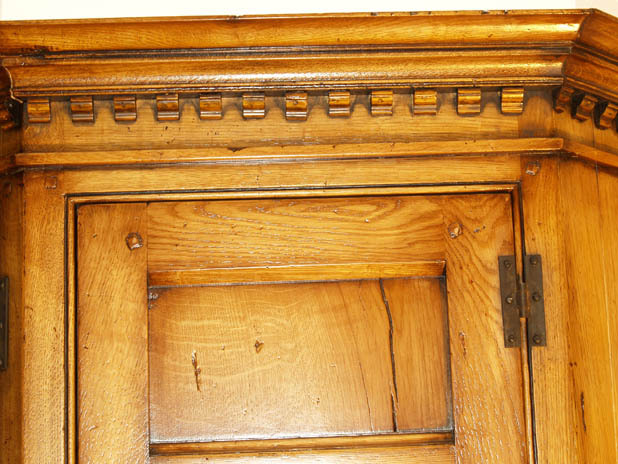 Quartered pillaster- beaded frames, pegged joints and brass butts. 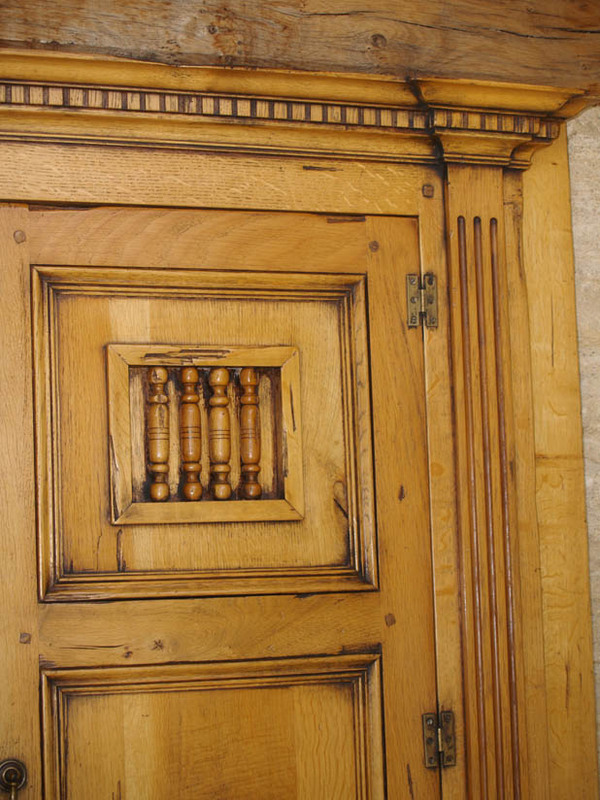 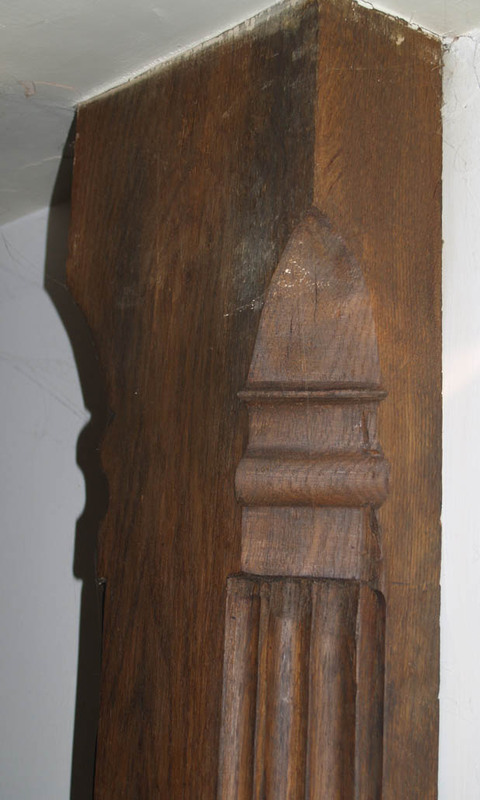 A 'Blind' spindled door panel. 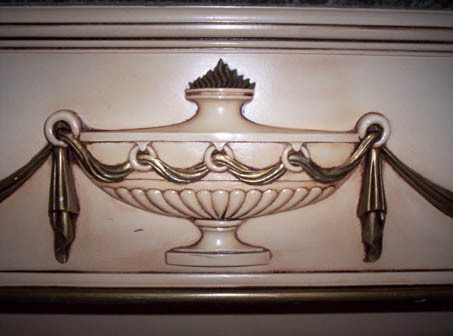 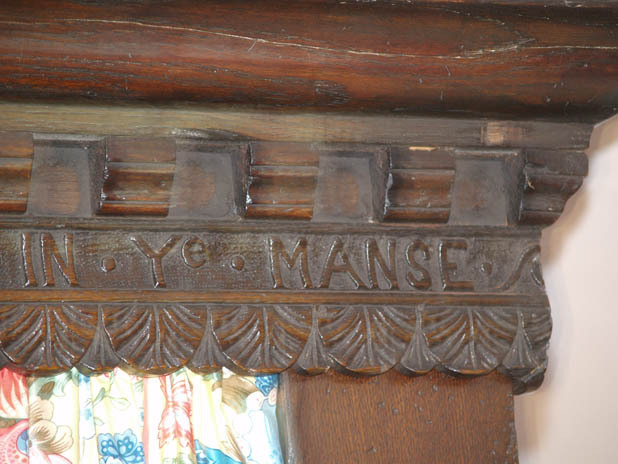 Intricate hand-carved logo with dentilled cornice. 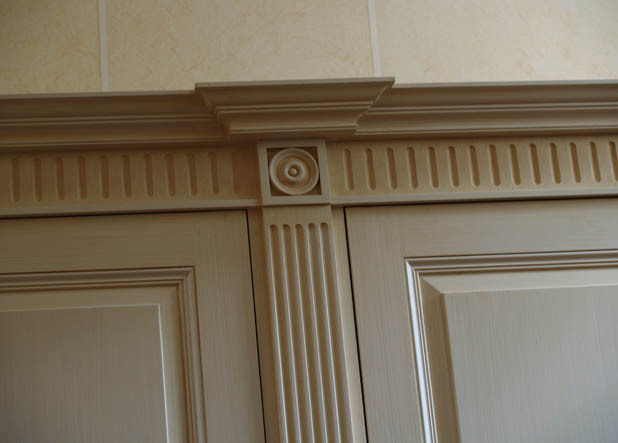 Georgian, fluted frieze pillaster and roundel. 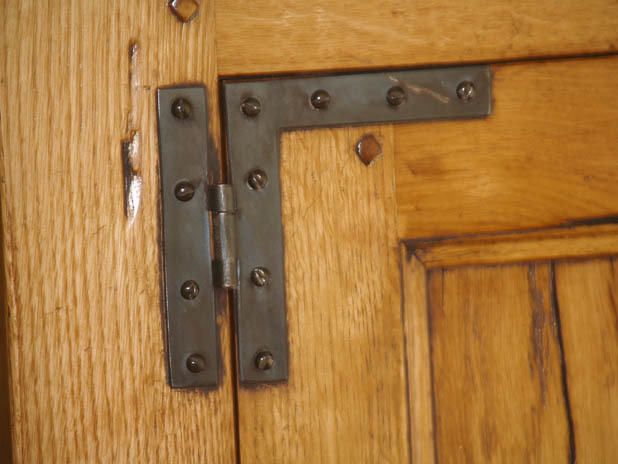 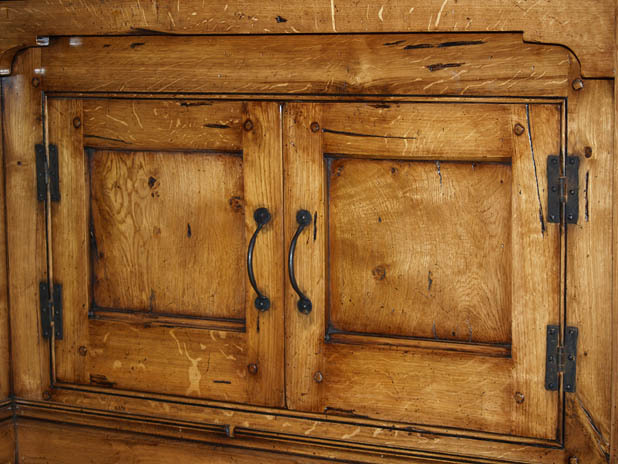 Pegged joints, arched door and turn button latches. 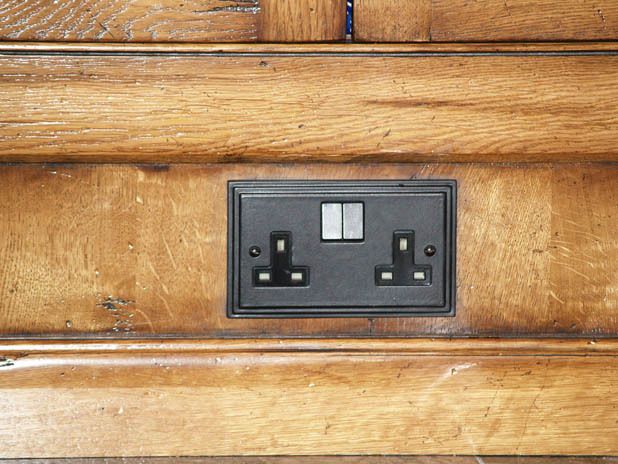 Iron electric sockets, finished flush to the wall. 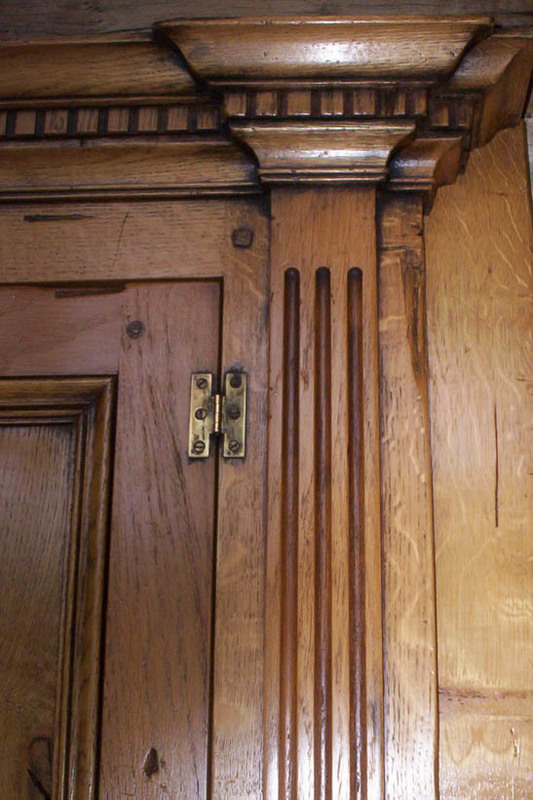 Inset doors below a Belfast sink. 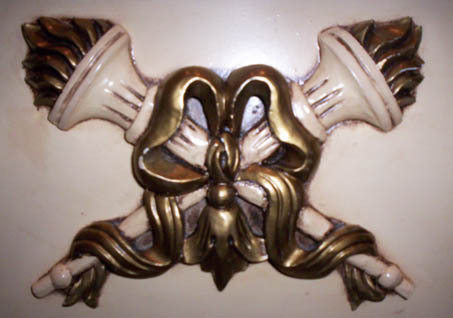 Ormolu mounts and cross banding. 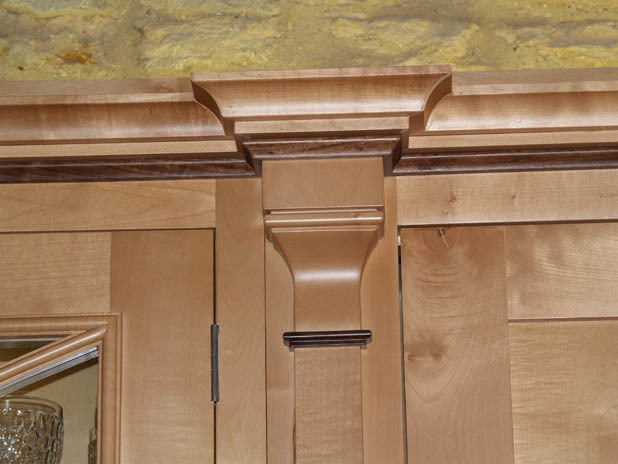 Inlaying - quartered and book matched veneering. 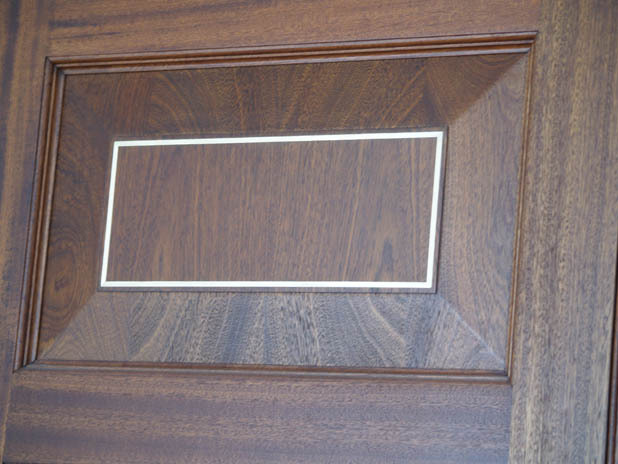 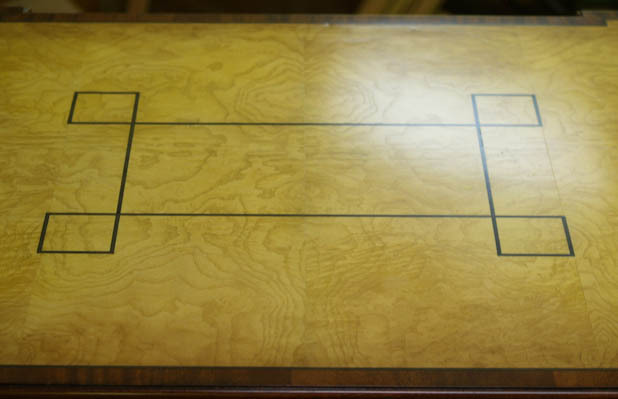 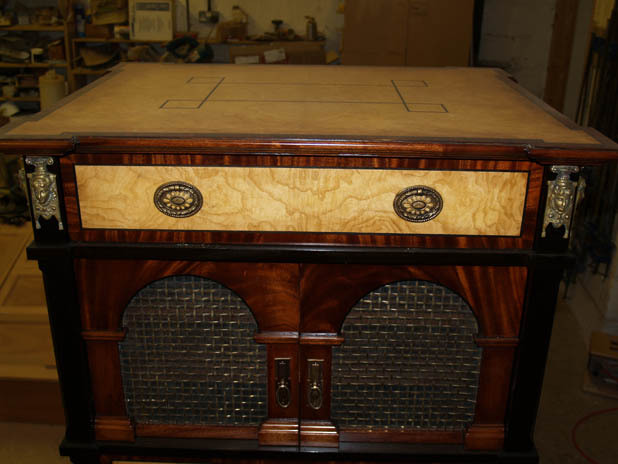 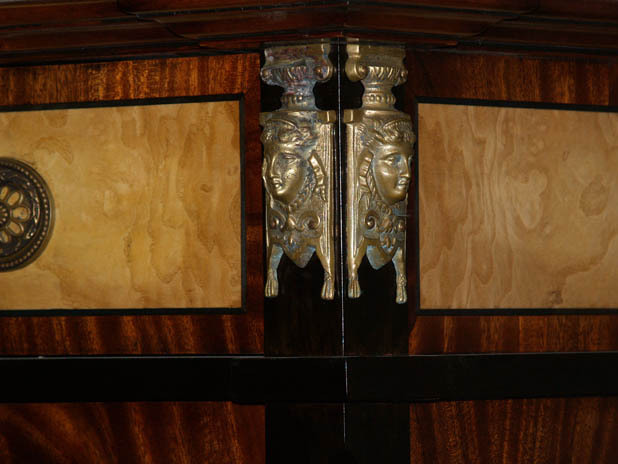 Brass inlay – large, raised and fielding. 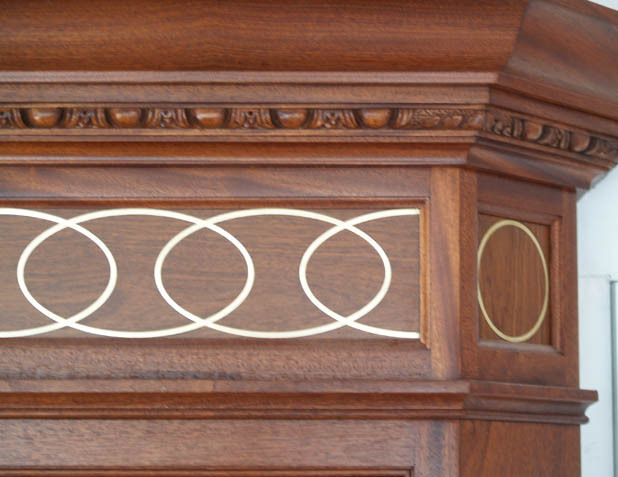 Intricate brass inlay, carved 'egg and dart'.